Well, here is the news – you can now pre order my new book directly from Search Press or from Amazon. Due for publication in January 2016, I am really excited to be finally able to share the news of this book – a whole year of my life went into writing, researching and making all the projects and swatches you’ll find inside. I tried to write a book that suits beginners taking their first steps in crochet and those who are feeling more ambitious and want to try new skills and techniques. In fact, the book I always wanted to have on my own shelf. I’ll be back soon to tell you more – and to give you a sneaky peek of what’s inside. But for now you’ll have to make do with a picture of the UK cover. Dare I say this would make the perfect gift for the crocheter in your life? Wonderful! What a way to close one year and open the next. 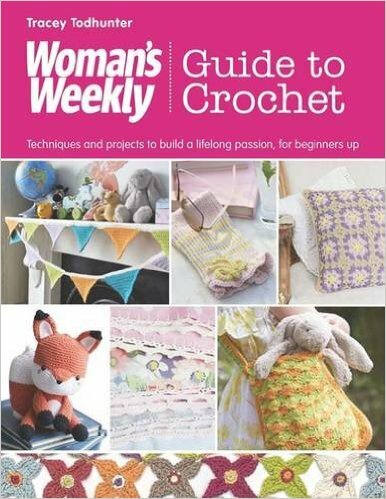 For Christmas last year I had the DK Crochet book; for my second year of crochet, I’ll buy this new one. You work so hard, Tracey. So dedicated. Uber talented! Well done.